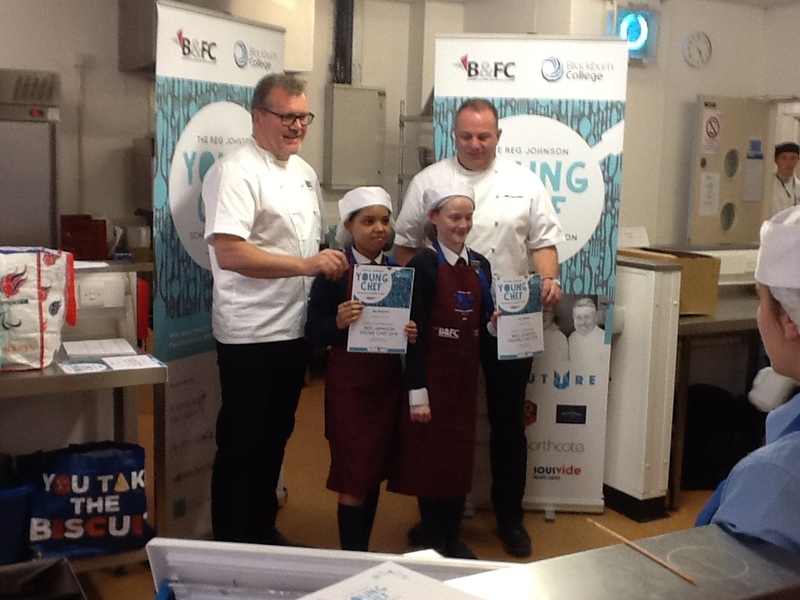 Pleckgate High School pupils were cooking up a treat taking part in the prestigious Reg Johnson Cookery competition. The cookery competition, for Years 8 and 9, was set up in memory of a local poultry farmer who died suddenly around six years ago. 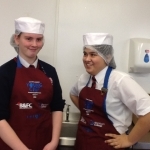 Food Technology and Catering teacher Helen O’Connor has been keen that students from Pleckgate take part in the competition as Reg’s grandson, Alex Johnson, attended Pleckgate and studied GCSE Food and Nutrition. 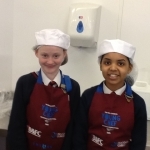 Two teams consisting of Mya Benjamin and Lucy Webster from Year 8 and Petra McClernon and Nadia Siddiq of Year 9 took part and had to make a main course dish for two people using duck. 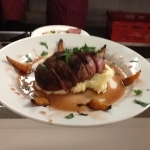 The dish Lucy and Mya chose to create was seared duck breast with summer berry jus, garlic mash and honey roasted carrots. 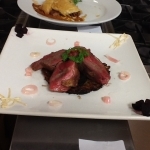 Petra and Nadia’s dish was duck breast with a black pudding rosti, beetroot, pickled mushrooms and a shallot dressing. 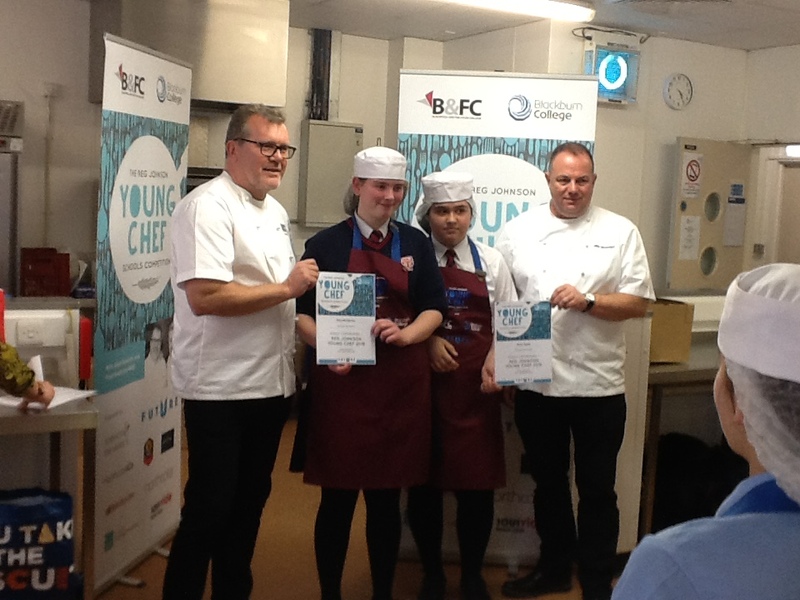 Sarah Redfearn said “They were fantastic ambassadors of the school and, although they did not get through to the final, they worked together well in their teams in creating their dishes and made a good impression on the two guest judges, one of whom was local chef Nigel Haworth from Northcote Manor.